Title track and the lead single The Wanted One lyrically is a portrayal of that famous Australian icon Ned Kelly, set against a backdrop of some monstrous riffs that channel the likes of fellow Melbourne rockers Electric Mary. Aurora has a real raw and earthy feel to it and once again, the lyrics really play a massive part in setting the scene of this song. Listening to the EP, maybe it’s the EP artwork that really makes me think of burning red Australian skies and harsh desert landscapes, but there’s also enough lyrical references throughout the EP to really give it a distinct Aussie feel, but in saying that, not to the extent of a band such as Midnight Oil. This distinct Australian “feel” for me is the real appeal of Gasoline INC. The latest single Shock takes on a real U2 meets INXS type vibe and whilst is an obvious choice as a single, it probably least represents my favourite elements of Gasoline INC, don’t get me wrong, it’s by no means a bad song, but it’s a track I think I need to see performed live to truly appreciate it. Speaking of favourite elements, when the tempo drops on the EP’s two stripped back moments, All That Remains and Blessed, it really allows the true abilities of the band to shine. Vocally in All That Remains, lead singer Gab O’Brien’s voice takes on an almost haunting Jeff Buckley style tone, whilst musically there’s been ample space left in the production and arrangements for each band member to share the spotlight. Blessed is a real fitting way to close out the EP, lyrically it’s a song that many are bound to find an attachment to and I have to say, I think it’s my favourite song on the EP. Whilst the majority of Australia’s music resources are directed to searching for the next X-Factor, The Voice or Talent, speaking on behalf of myself and I am sure many others, thanks and recognition must continue to be shown for bands like Gasoline INC who are prepared to shed blood, sweat and tears for the cause of Australian rock. 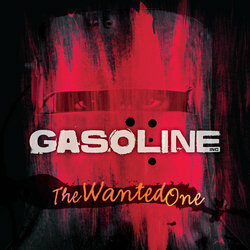 So as my message usually goes, make sure you show your support for bands like Gasoline INC, go check them out when they hit a town near you…and if you like what you read/heard make sure you buy the CD!